Genius Loci Games: 8 Hours Left to Post Your Pirate! 8 Hours Left to Post Your Pirate! Hey everyone, just a reminder that 2000 hours NYC time tonight is the deadline for entering +Erik Tenkar Razor Coast giveaway. 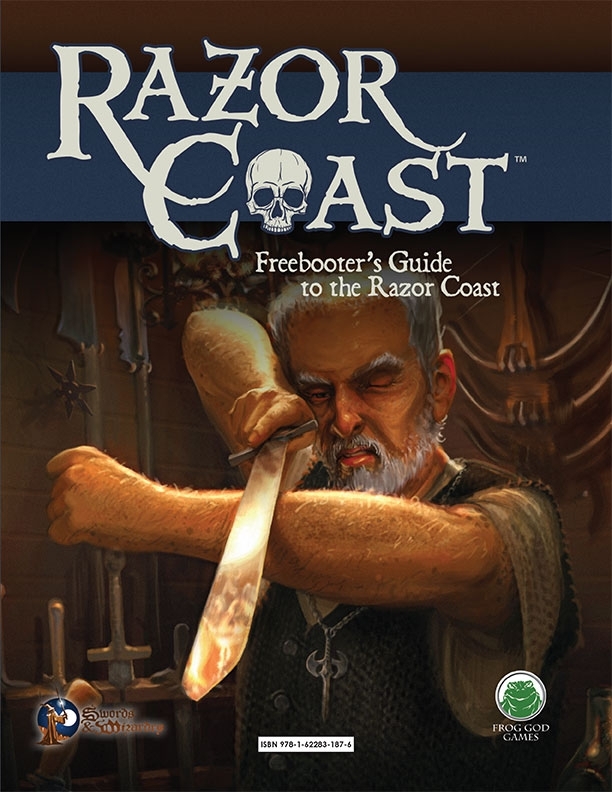 And don't forget to post your pirate here at Genius Loci as well for a chance to one a copy of The Razor Coast Freebooters Guide. Remember you need to have your pirate posted over at Tenkar's and here to qualify for the bonus prize. Once the finalists are chosen I will contact them in some fashion to tell them what needs to be done to claim their prize. finally the bonus prizes from Genius Loci will go out next Friday pretty early in the AM. Once again, good luck everyone! I'm enjoying all the stories and pirates I'm seeing so far. So much originality and fun in the OSR community, its why I love it so much! In Defense of the White-Box Alternate Elf.